UP Assistant Teacher Recruitment 2018 - Apply Online for 69000 Assistant Teacher Posts in UP Basic Education Board, Uttar Pradesh. Online Applications are invited by Uttar Pradesh Basic Education Board from 06 Dec 2018 to 22 Dec 2018 till 06:00 PM for 69000 vacancies. UPBEB 68500 Assistant Teacher Merit List 2019: Uttar Pradesh Basic Education Board has announced the Result on 08 Mar 2019 for the exam. 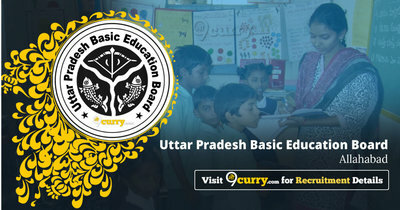 UP Basic Education Board 69000 Assistant Teacher Answer Key 2019: Uttar Pradesh Basic Education Board has issued the Answer Key on 08 Jan 2019 for UPBEB Assistant Teacher Exam 2019. Answer Key can be accessed from the link given below. UP Basic Education Board Assistant Teacher Admit Card 2018: Uttar Pradesh Basic Education Board has issued the Admit Card on 31 Dec 2018 for Uttar Pradesh Basic Education Board Assistant Teacher Exam 2018 which is scheduled to be held on 06 Jan 2019. Candidates should have Bachelor Degree with 2 yrs. B.Ed/ D.El.Ed/ B.T.C Exam Passed. Primary Level UPTET/ CTET Exam Passed. Eligible candidates may apply online at UP Basic Education Board's website (direct link is given below) from 06 Dec 2018 to 22 Dec 2018 till 06:00 PM.